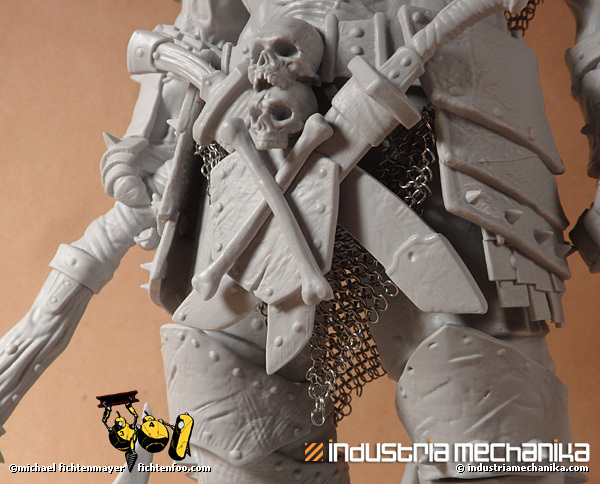 Hi guys, I started my pre-production build-up of the 1/8 scale Adrian Smith Frankenstein kit by Industria Mechanika. Normally I don’t build figures, but this one is REALLY awesome. Lots of armor to rust and weather, and no worries about getting flesh tones correct. Just need to make him look patchy and partially decayed. I'm going to start with some white primer and probably will do the armor portions first in a combo of shiny metal and decayed rust. The kit comes with real chain mail and is easy enough to work with provided you have some sharp pointy wire cutters. I used a cheap purple-handled pair from Michael’s for example. There’s plenty in the 3″ square to detail the kit based on the instructions with some extra left over to add elsewhere. 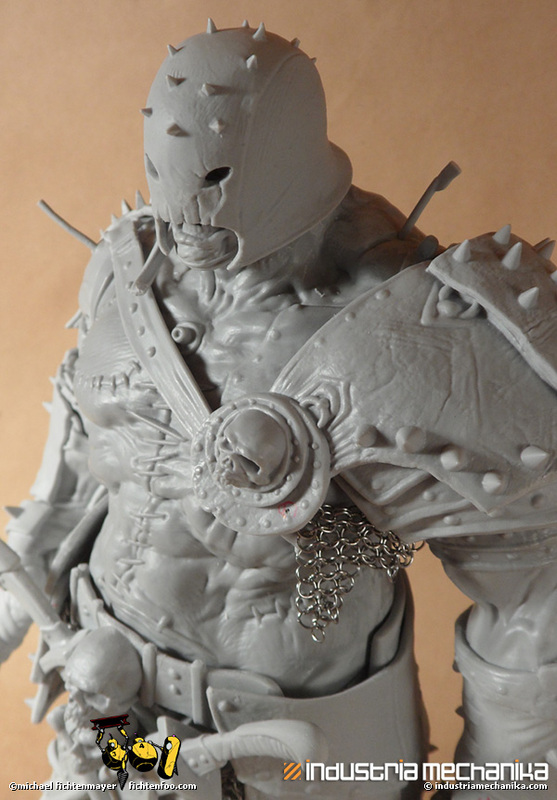 The included chain for the mace is very easy to bend the links for adding them to the resin parts. 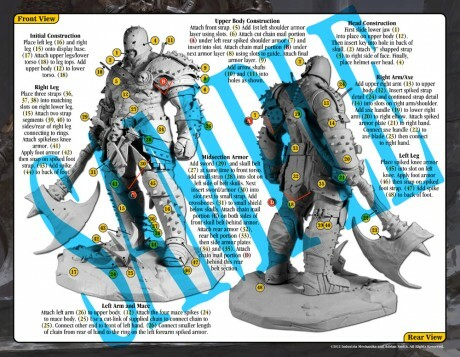 Without the base, the figure stands 12″ tall. The best way to describe it is “beefy”. Really muscularly thick, armored, and menacing. 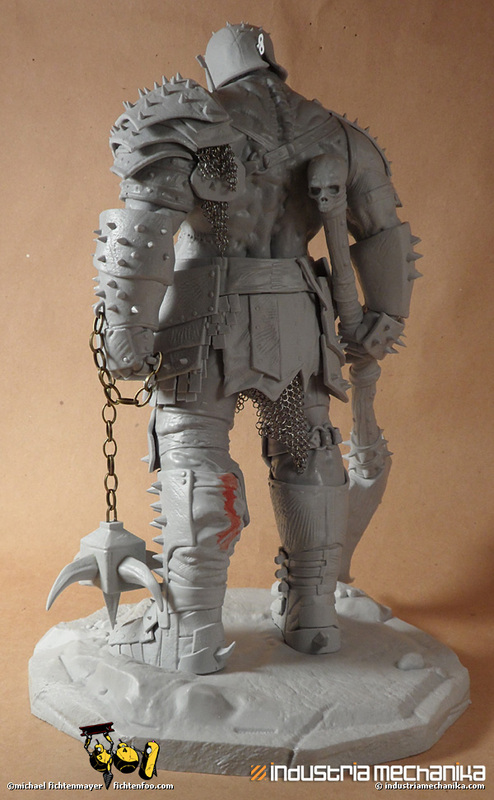 Very cool figure .... you´re right about it being a cool subject to paint with all the different armor and materials used as well as the decaying skin. Any idea on the price? Frank, I saw it on Industria Mechanika site on preorder for $190. 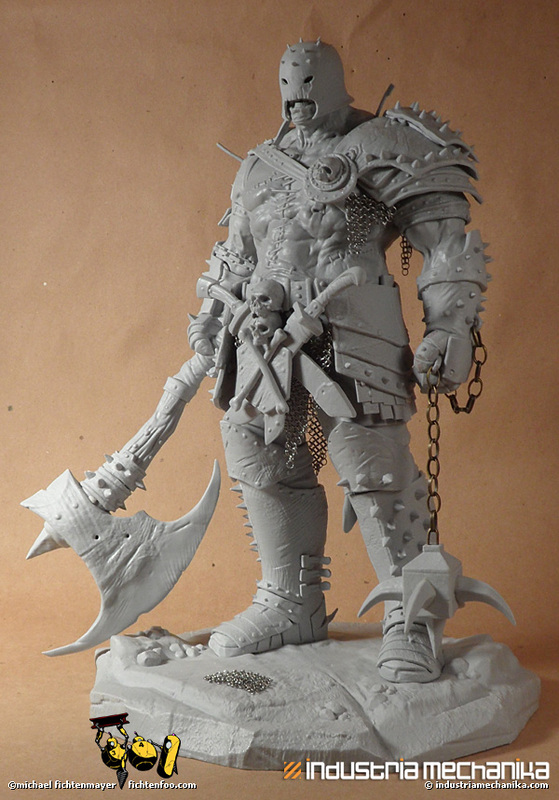 Taking into account it is 1/8 scale it could not even be considered too expensive for such a huge chunk of resin. One of my friends was really interested in getting the figure, so perhaps I will see the model in flesh soon. It is an incredible sculpt. This is most impressive. Really validates your studio and business model. Keep up the good work with the designers, and ship that Remora to me real soon! Recently retired librarian and scribbler.